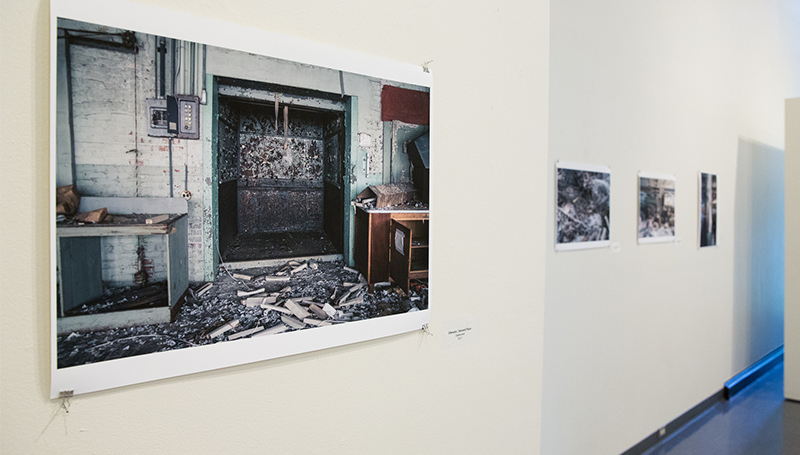 “Kloes,” a special exhibition by photographer Tarrah Krajnak, will run Monday, June 4, through Thursday, July 19, in Spiva Art Gallery at Missouri Southern State University. Born in Lima, Peru, Krajnak is an assistant professor of art at Pitzer College in Claremont, Calif. Her work has been exhibited nationally and internationally, including shows at the SUR Biennial in Los Angeles, Art London, the National Museum of Women in the Arts in Washington, D.C., and the Philadelphia Photographic Arts Center. She was recently awarded the Texas Photographic Society’s first National Photography Award and had a solo exhibition during this spring’s Fotofest Houston. “Kloes” is a series of photographs taken by Krajnak in a century-old abandoned garment factory in Lansford, Penn. An opening reception will be offered from 3 to 4 p.m. Thursday, June 7, in the gallery. Admission is free and open to the public. Summer hours are 9 a.m. to 5 p.m. Monday through Thursday.